2 weeks before break and the crazy has started! Kindergarten & 1st grade for me this past week were crazier than usual but we all know why - it is almost winter break! I’m sure next week will be even crazier! 2nd grade hasn’t been so bad because we have started working on instruments for program and they are so eager to get on instruments and they are so excited about this program! It does my heart good!! 2nd grade has now learned all 8 songs for the Snowmen at NIght program and have started working on instruments! I do assign specific instruments to each student but we ALL learn ALL the parts. I am insistent that my programs HAVE to be the regular curriculum in action! They have picked up the songs so quickly which just goes to show that modal material is totally accessible at younger ages! Two days (with 2 different classes) this week I was able to get 3 parts taught and they were able to perform all 3 parts together and sing the song and stay together on the beat! I thought to grab the iPad and record one of them and you can hear “The Snowman’s Hall of Fame” day 1 on instruments by clicking on the video to the right! It was awesome considering it was the first time we had done it with instruments! Word sheets went home this week as well as parent information about the program! On February 7th I’m hoping to have my best attendance yet at a program! 1st grade is fully into “Bobby Shaftoe” now! This is the lesson that is part of my published resource “Playing with Improvisation: Technology with Integrity in the Orff Classroom” which can now be purchased as a download ONLINE from Music is Elementary! I’ve added the link to that resource to the right of this post! “Bobby Shaftoe” adds ‘la’ to their solfege vocabulary as well as gives them a structure for beginning improvisation on barred instruments! There is a partner game that goes with it and you can have them keep the same partners or do it as a mixer and change partners during the B section! In my resource “Playing with Improvisation” you can also find a lesson plan for beginning recorder! 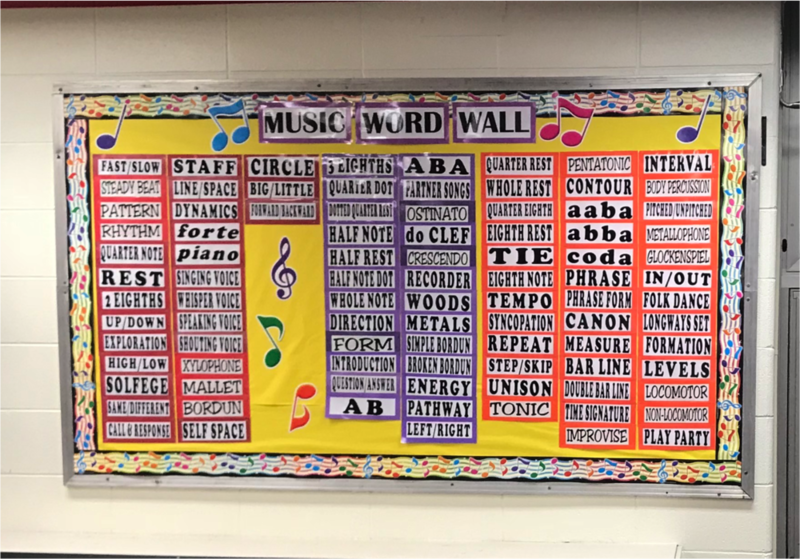 When I was teaching K-5 I used to teach the game and song with barred instruments in 1st grade and then it came back when they started recorder in 3rd grade! It can be helpful to use familiar songs when starting recorder so they can focus on the mechanics of the instrument and not have to worry about learning new material! Kindergarten has been working on “Bow Wow Wow” and there is a part of me that just wants to play that game with them forever because of the surprise element in the game! When they jump and turn around to a new partner they are so excited! It just does my heart good! You can see a Kindergarten class doing “Bow Wow Wow” on the video to the right of this post! We have been doing a quick review of the game this week and then heading to instruments to play the steady beat on a bordun! Kindergarten has also just started doing Rhythm Scores with quarter notes and quarter rests! Their beat keeping ability is remarkable for Kindergarten! 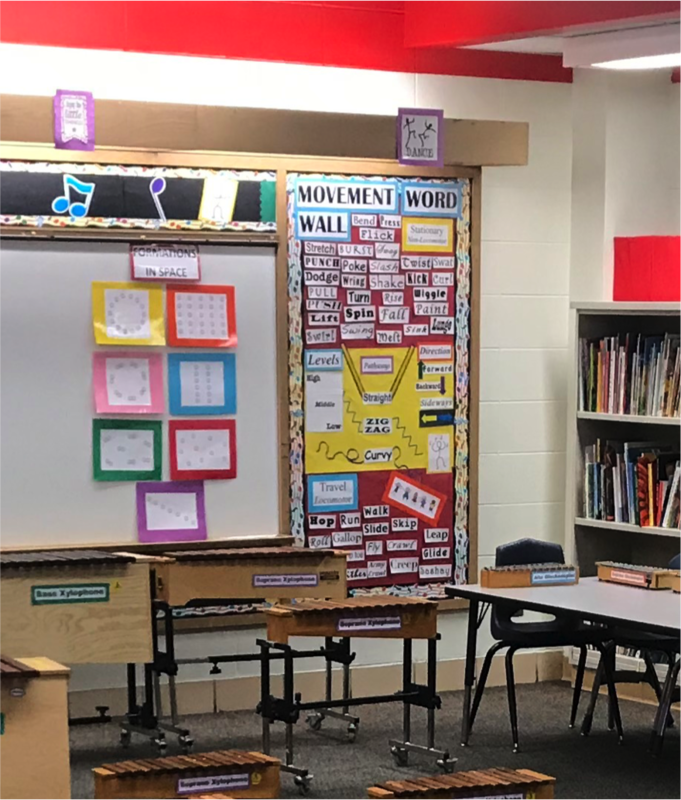 You can see a Kindergarten class perform their Rhythm Scores on the video to the right of this post! It has been an awesome week considering that “the crazy has started” and it is 1 week until winter break! But students are joyful at Madison and the music room is alive with the sound of music!